Found this plant at Heidelburg Botanical Garden. 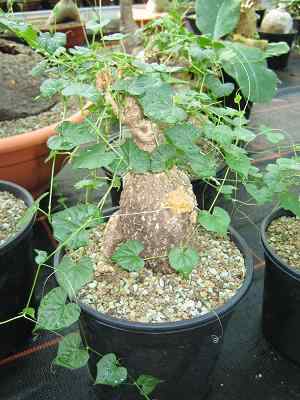 This monoecious member of the Cucurbitaceae family was described by Henri Ernest Baillon in 1886. It is found in Ethiopia to Tanzania, and from Angola to South Africa. 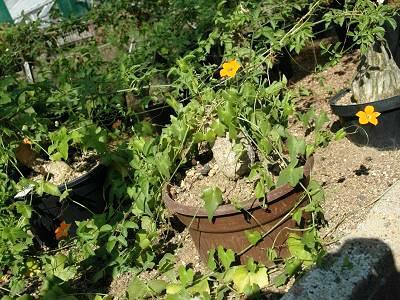 It grows in grit or well drained soil with some water and lots of sun. 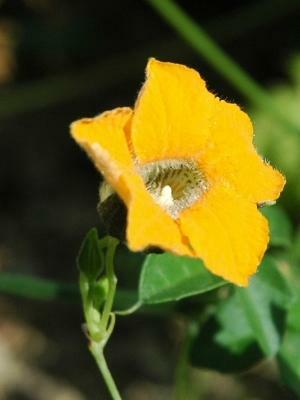 The flowers are dark yellow. The vines will reach for two meters.